That is not a cliché but a firmly held belief of mine and it’s one of the most important pieces of advice I pass on to all my clients. 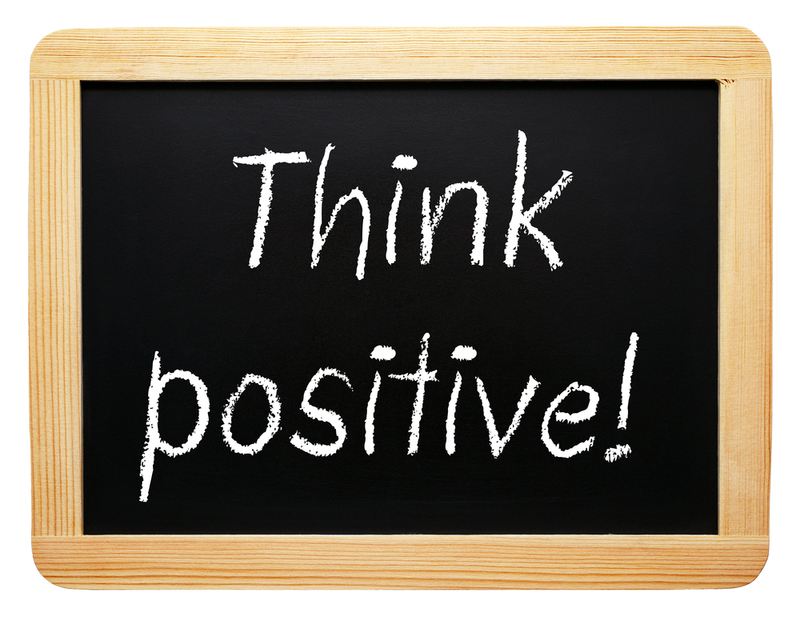 What you believe to be true affects your attitude and in turn affects your ability to achieve your desired outcome. We are talking about making money here and to do that you have to be able to sell your product or service. Get your attitude right and the rest is easy. To sell a one day course to 10 people, either one at time or a group sale, at a price of £200pp, with all monies received, by the end of July 2015. To get the client to agree to a 1 hour presentation of my product, to their decision makers, at their headquarters on an agreed date before the end of August 2015. If you cannot ‘hand on heart’ guarantee that the product or service is absolutely right for this client and they will get all the benefits that you have promised then you should not be trying to sell it. If you can be sure that this is true then no ‘selling’ effort is needed. If the benefits are genuine then you should be excited to share it and that will have a direct effect in your attitude and your genuine care and interest in how it will help your client to meet their desired outcome will be obvious to them. If you don’t ‘feel it’ then be honest with yourself and identify what it is that holds you back from total belief. Once you do that you can start to deal with those areas until you do ‘feel it’ and then you can believe. E.g. Believing that because you are a new business all those other business owners must be better than you:– in truth some of them may be. If you know who they are and what it is that makes them superior in your mind that simply gives you something new to learn, do, and aspire to. You are in competition with yourself. Concentrate on being and dong the very best that you can do and improvements will follow. No-one is perfect and there is always room for improvement. Your potential client has chosen you or they are at least giving you the time of day – forget the other suppliers and concentrate on what you can offer. If you know there is a glitch in your supply chain or your offering isn’t quite right: – sort it out! If it bothers you on any level it is not good enough. If it’s not good enough for you it is not good enough for the client. Worrying that you are not qualified or experienced enough: – I suffered from that one. Some of the other coaches and therapists I networked with when I started out had lots of letters after their names. I had a few myself but I had never been to university. One guy in particular had clearly been to university and I had put him on a pedestal because of it. I plucked up courage to ask him what he had studied at university. I had assumed it would be psychology, psychotherapy or something similar. He was reluctant to tell me. I smelled a rat and after some persuasion he told me. Geography!!! I realised in that moment that I was the one who had placed him on a pedestal and in my mind had made him ‘better’ than me. I also realised that my clients had never asked what the letters after my name stood for, had never asked to see my qualifications but instead had always asked “Can you help me?” I always had been able to help and from that moment on my self-believe was firmly in place and my attitude changed for the better. Thinking that you are not good enough :– strengthen your self-image. You can change this by choice and conscious effort. If you decide to run a marathon you will buy the correct running shoes, clothing and get into training. You might get someone to advise you and put together a training plan and then work towards your goal. You will know what aspect of yourself causes you to doubt and stops you from having a great self-image. How do you want it to be different? Set the goal. Make a plan and get on with it. If you need help find it. DO NOT remain stuck where you are right now. Do your research. Know what the market will bear especially if your business operates in a distinct geographically area. What people will happily pay in London is very different to what people will pay in Great Yarmouth, Wisbech, Grays, or Cambridge.When you are new to business there can be a tendency to price yourself at the low end of your market. At a minimum you should aim for the middle. If you are offering similar features and benefits then your price point should be similar. If you offer more or have unique selling propositions then it should be no surprise that you charge a little more. It is better to offer a discount for new clients than undercharge. 5 State your price with confidence – . You should be confident and not at all embarrassed; after all you know you are worth it and they will be delighted with what they get. If you are in doubt about that then go back to number 2 above. If you are certain the price is right then then expect the client to accept it. E.g. These are often referred to in sales books as ‘objections’. Wrong attitude. An objection pre-supposes that what you have offered is in some way ‘objectionable’. If it is then you need to go back to number 2 above. Asking questions proves they are interested. Your attitude to questions should be positive and you need to have answers. I think the question most business newbies fear is the one about price? As a general rule seek to put the responsibility back where it belongs – with them. After all it’s their question and I think we are all aware that they have a preferred answer that they hope to hear from you. Too expensive;-‘How much can you afford?” If you charge £50 per hour and they can only afford £25 then offer them half an hour or if you are feeling really generous 35 minutes. You are worth £50 per hour. Offering your time for less might send a signal to them and to your sub-conscious that you believe otherwise. Looking for discounts: – only offer these if it works out well for you too. When you are starting out this can be useful as long as you cover your costs and that has to include paying for your time plus you get something extra that works for you. E.g. Before and after pictures, testimonials for your marketing material etc. Don’t be a busy fool:- any fool can get lots of work if they are too cheap. You will not survive in business with that mindset. ……regardless of whether they paid full price or not. Most clients are happy to give them. Most won’t know what to write so be prepared to give some guidance. Ask if they know of anyone else who may appreciate your product or service and if possible get names and contact details or give your clients some of your cards to give away. It may pay you to offer referral fees. My hairdresser gives me a 10% off voucher for every new client I introduce to them. What might work for you? I mentioned sales books. They have their place and there is usually something useful in every one of them. The most useful book I ever read is ‘Psycho-Cybernetics’ by Dr Maxwell Maltz. This is the book that I read over 30 years ago changed my attitude and my life for the better. People buy from people so work on yourself and the rest will follow. Buy the sales focussed version of the book. Your attitude will be different if you think less in terms of sales and more about sharing your fantastic product or service that will delight the people who pay for it. If you doubt that is true then you know which number you need to go back to. That’s right! Number 2 above.